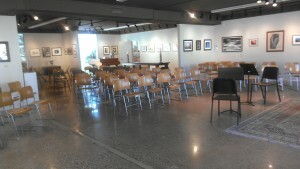 Markeim Arts Center is a unique and beautiful space for your special event. 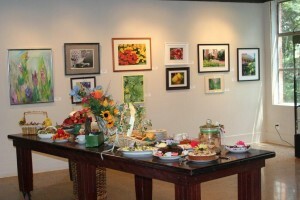 Imagine your event set amidst the artwork of Markeim’s exhibits. 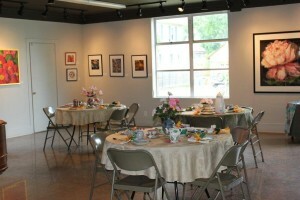 The gallery is available to rent for cocktail parties, bridal and baby showers, reunions, birthday parties, graduation parties, organization meetings, seminars and more. Catering connections are available along with full use of Markeim’s equipment. 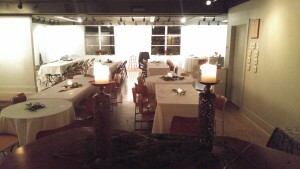 Occupancy is approximately 125 standing and 75 seated at tables. Our ceiling is 9′ tall and has track lighting as well as fluorescents. Local Non-Profit Organizations may qualify for our discounted $200 flat rate (up to a 3-hour rental) Monday through Thursday subject to availability. Please contact us for details. Click here to see room setup options. Click here to the see the list of available equipment for use included with your rental. Contact Mary Ellen Stanzilis at maryellen@markeimartscenter.org) or 856-429-8585 to discuss.